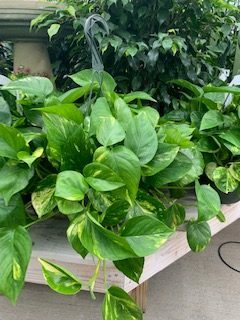 Pothos plants boast bright golden-green or variegated foliage. 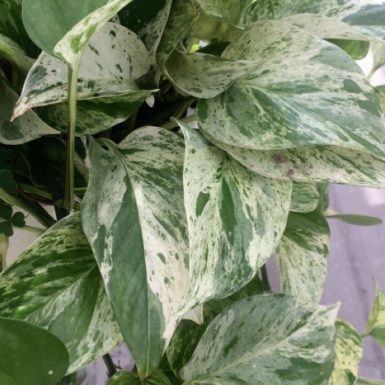 The waxy, pointed, heart-shaped leaves vine and make for a beautiful hanging basket or potted plant. They are native to the Solomon Islands and some parts of southeast Asia. 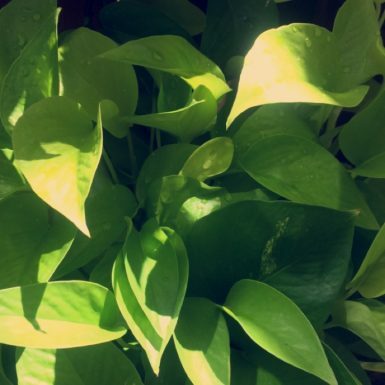 They are easy to care for and are great air purifying houseplants.